In a country where 56.6% of the workforce, according to 2011 Census data, is employed in agriculture and allied sectors - occupations that are most immediately and drastically affected by climate variation and environmental degradation - minimizing the vulnerability of agriculture to climatic factors is an imperative that cannot be discounted. Recognition of this fact by the government is reflected in the stipulation under Schedule 1(3) of MGNREGA that all works carried out under the act must be in rural areas, focusing on water conservation and harvesting, drought proofing - which includes afforestation and tree planting - digging irrigation canals, renovating traditional water bodies by desilting of tanks, land development and providing all-weather rural connectivity [see Schedule 1(1) for full list]. Under the circumstances, one of the criteria for measuring the success and failure of MGNREGA has to be the value of the environment-related works undertaken for the agricultural economy. Findings from an empirical study published in Economic and Political Weekly in 2011, reveal that works carried out under the scheme in 2008-09 in the drought-prone districts of Chitradurga produced significant and quantifiable results. One of the works financed under MGNREGA in this district was removal of a total of 926,890 cubic meters of silt from 291 tanks. Before desilting, borewells in the village of Koverahatti had to be dug 700 feet deep to reach the ground-water. After desilting, ground-water level rose to over twice of what it was before, accessible at only 330 feet below the ground. This increased availability of and easier access to ground-water had the effect of doubling of the area of land under irrigation. Construction of percolation tanks in the district has enhanced the percolation potential, which is bound to further raise the rate of recharge of shallow of aquifers in the following years. Also, under MGNREGA work, the silt removed from these water bodies were applied to the surrounding farmlands, as a result of which soil fertility (measured in terms of proportion of organic carbon content in the soil) more than tripled in Koverahatti, rising from 0.58% to 2.09%. The ripple effect of benefits this triggers in the local economy is not hard to foresee. The increased availability of water, area of land under irrigation and fertility of the soil aids in raising productivity and total production as well as in minimizing the dependence of agriculture on costly fertilizers (one of the reasons for indebtedness of farmers) and on uncertain monsoons. This not only boosts the earning and improves the income security of families of farmers and agricultural labourers - enabling them to afford better nutrition, healthcare and education - but also benefits those artisans and small entrepreneurs in the rural economy who make a living by selling their goods and services to the farming community. Workers employed under the scheme also carried out tree-plantation over an area of 2,341 hectares in the district. This is projected to result in cumulative carbon sequestration of 93 tonnes per hectare of plantation over 30 years, amounting to a total potential for absorption of 217,713 tonnes of carbon by 2038-39. The 32 hectares of land that was planted in village of Parashuramapura is estimated to have the potential to yield 64 tonnes of firewood, 41.6 tonnes dry leaf biomass and 39 tonnes of biodiesel every year. While these finding are limited to one district in the state of Karnataka, another study, published in the same journal in 2013, about the works undertaken during 2011-12 in four different districts of four different states - Andhra Pradesh, Madhya Pradesh, Karnataka and Rajasthan - yielded similarly positive results, showing an increase in water availability, area of land irrigated, soil fertility, crop yields and reduction of soil erosion (as a result of building check dams). An article by Richard Mahapatra published in 2011 by Down to Earth recounted another success story of revival of rural economy devastated by drought since 2003. The Tindra village of Uttar pradesh was almost deserted when most of the able-bodied persons had migrated out of the village to work as labourers when a prolonged drought since 2003 had left only a tenth of the land arable. When sixty villagers, paid under MGNREGA for sixty days, dug a 2x3 feet canal of 2.37 kilometers length, connecting the village to a government irrigation canal, the village saw a resurgence in crop production, resulting in almost a doubling of income. Many migrants who had left the village in search of employment in towns returned back to farm the land again. On learning from the experience of Tindra village, the villagers of neighbouring Lalitpur did the same. Further, the Dalit farmers here, after leveling their land on being paid to do so under the act, dug 35 feeder canals connecting their farmlands in the interior of the village to the main canal. “Crops now flourish in farms that used to lie fallow”, Mahapatra wrote. However, it would be a fallacy to judge the act based only on its success stories, because the results have not been impressive across the country. Not only have many assets created under MGNREGA turned out to be of no value, but has also created negative effects because of the “callous way in which these activities are planned and implemented.. without any consideration for.. physical and socioeconomic realities of the regions concerned”, Bassi and Kumar wrote in a paper published in 2010 by Institute of Resource Analysis and Policy, analysing the impacts of water management works in various parts of India. Many new water-management structures that have been built, without regard for existing natural catchments and the water-flow from these to the reservoirs, have caused drying up of local streams and reduction in the availability of drinking and irrigation water in reservoirs downstream. Drying up of public reservoirs in Rajasthan and the Aji reservoir in Rajkot “are just an indication of the larger menace if necessary caution is not exercised in implementing water harvesting schemes in villages," the authors warned. Another example of the potentially dire consequences of some of the works undertaken is the destabilization of hill-slopes as a result of “[u]nscrupulous digging of rainwater harvesting pits” in heavy rainfall areas, which is reported to have caused landslides in Kozhikode district of Kerala. Examining the water-management works in the Chistipur and Kharikamathani Gram Panchayats in the state of West Bengal, Chakraborty and Das, in a paper published in 2014 in the Journal of Construction in Developing Countries, have pointed out that the inadequate standards of the structures built under MGNREGA fail to serve the purpose. Failure to meet the required depth in the earthen bunds built, have rendered them incapable of stopping flood waters. All the three water diversion channels dug to conserve water in this region were not up to the desired height of 1.5 meters as a result of 8-22% less excavation. Ponds excavated in the region had an average storage capacity of only 353 cubic metres, falling well below the requirement for a small neighbourhood according to Bureau of Indian Standards (2007), which deems 72 cubic metres to be to be the minimum annual requirement per household of 5 members. An accurate identification of the causes of this uneven performance of MGNREGA in the task of rural asset generation requires a careful comparison of the decision making processes involved in those cases where the works undertaken have produced value and in those where it has failed to. However, some weaknesses can be identified without undertaking such a comparative study. An insight into these weaknesses is provided by Carswell and Neve in their paper MGNREGA in Tamil Nadu: A Story of Success and Transformation?, published in 2014 in the Journal of Agrarian Change. Their fieldwork in 2011 in two villages of Tamil nadu - Allapuram and Mannapalayam - revealed a serious drawback in way targets are set for the administrators in charge. Once a budget has been allocated, the District Officers, who are under enormous pressure from centre and state authorities to spend all the money allocated, nag the panchayat officials to disperse the amount allotted to their area, who in turn pressurize the “in-charge” on field. There is a disproportionate focus on “spending the budgets” and on recruiting "an adequate number of MGNREGA workers" - the latter often achieved "by making MGNREGA work as attractive as possible.. by making sure workers are paid the full wage, irrespective of the amount of work done.. by ensuring that the work is not too onerous” and by not insisting on the quality of the work. According to section 7(2) and 7(3) the act, the cost of unemployment allowance, which is to be paid to any eligible applicant who is not offered a job within 15 days of application, is supposed to be borne by the state while the cost of paying wages for the employed is underwritten by the centre. This arrangement, which is intended to incentivize states that create jobs and penalize those that fail to, can be counter-productive by incentivizing the states to spend the money from central treasury on useless (and in some cases counter-productive) projects in order to avoid the penalty. In spite of the shortcomings in the act and the failures of a number of works implemented under it, the fact that there have been impressive results in many regions indicate that these failures are not inevitable or inherent in the very nature of an employment guarantee act, but has rather to do with the administrative issues of setting targets and deciding what work has to be undertaken. 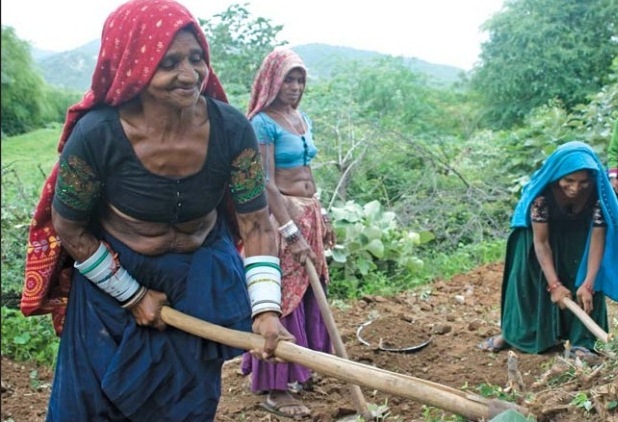 MGNREGA payment woes: bad to worse? The issues identified here can be rectified by measures such as subjecting a project plan to rigorous technical assessment, in order to determine its feasibility and its value for the rural economy, before approving it. In those cases where no work can be provided under MGNREGA to the satisfaction of the technical criteria, offering an unemployment allowance of no less than a quarter of the wage rate for the first 30 days and no less than half the wage rate thereafter (as stipulated in section 7(2) of the act), rather than creating useless or counter-productive jobs, might avoid some of the negative effects mentioned above. An amendment to the act that shifts the costs of paying unemployment allowance from the states to the centre - or an amendment that imposes on the states and centre the responsibility to bear the same proportion of costs both for paying employment-wage and unemployment-allowance - might be one way to disincentivize the states from unduly pressurizing the Panchayats to spend the amount allotted by the centre, one way or another. This pressure on Panchayats, whose responsibility it is “to finalise and approve” the projects to be undertaken [as stated in section 13(2)(a)], might be one of the causes for approving projects with no or negative impacts. But even with the current weakness of the act left unaddressed, there is one thing that is conclusively demonstrated by a number of empirical studies in academic literature that has emerged on the subject over the last few years: it is a fallacy to believe that, “in the NREGA scheme villagers will turn up to play with mud, to create a road that goes from nowhere to nowhere, to dig ditches that will be washed away in the next monsoon..” - a prediction Sagarika Ghose had made early in 2008! The writer is an independent journalist interested in developmental issues. Earlier he was associated with Citizen Matters as a staff reporter.